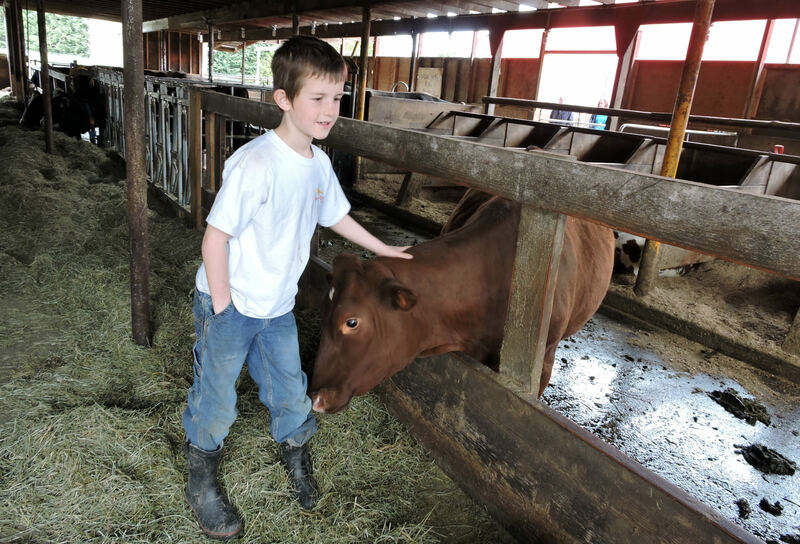 Little Qualicum Cheeseworks shows kids up close and personal where food comes from. Even got to see our first ever laser-guided, automatic, robotic cow milker! We just got back from the farm. But not just any farm. We visited Little Qualicum Cheeseworks and saw a robot milk a cow, a baby calf less than 12 hours old, and learned that happy cows produce more milk. It was a great family day and it was FREE. Well, except for the cheese we just couldn’t resist buying. 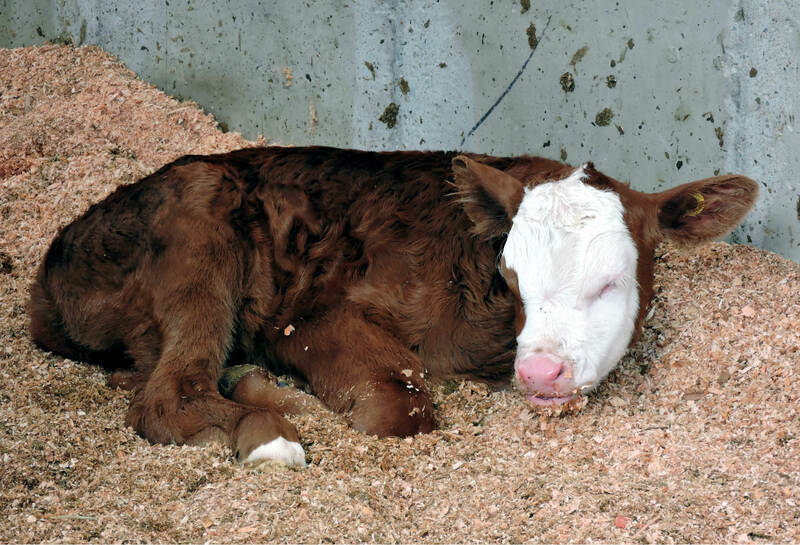 Little Qualicum Cheeseworks Farm is conveniently located just outside of Parksville and welcomes people all year long to walk the grounds and say hello to their happy cows. Why are these cows so happy, you ask? Well, it’s simple really. 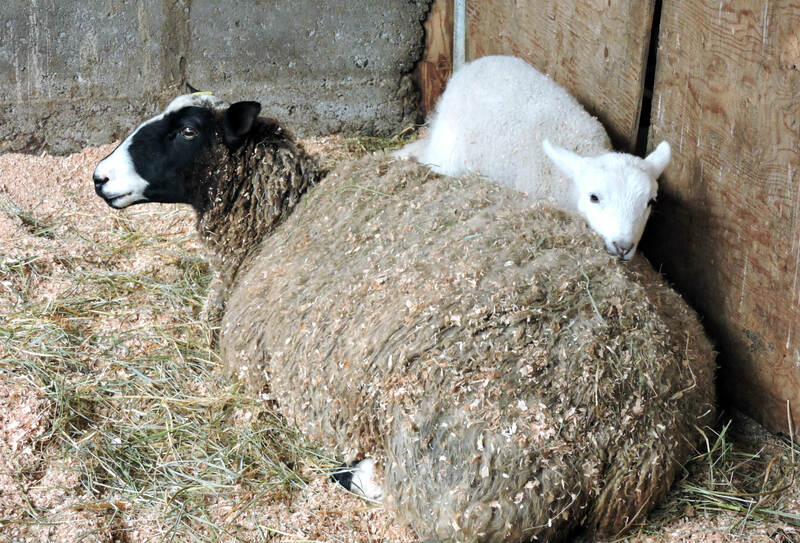 Farming at Little Qualicum Cheeseworks is more than milking cows and making cheese. Here, they value taking care of the land, the people, and the animals. They pride themselves in doing their best to be good stewards of all three and it shows. After living in Switzerland for several years, the owners of Morningstar Farm came back to Canada and decided to make cheese. Apparently the Swiss have that effect on people, so be careful when you travel. But yes, after realizing how good cheese could actually be, they bought Morningstar Farm along with the cows on it and began learning the art of cheese-making. Their son, Ray, gave us the tour and described how crazy his parents were to think they could start up a dairy farm and a cheese factory at the same time without any prior experience. Can you just imagine what it must have been like starting out and how steep the learning curve must have been? Thankfully in the end it all worked out and the family is closer because of it. In fact so close that when the whole family gets together at the house on the property there are 5 generations under one roof! The land is beautiful and visitors are welcomed, even encouraged, to enjoy a walk around the property and experience the serenity of the country. Our kids loved learning about the cows and how they get milked…by a robot (!) no less. All the cows wear a collar and when they feel the need to be milked, they head into the milking area and the robot cleans, milks, monitors production, and sanitizes the cow before sending her on her way. We stood and watched several cows line up and feel the sweet relief of getting milked. And something wonderful has happened because of this new automatic robotic cow milker…the cows actually produce more milk! And apparently a milked cow is a happy cow. The Automatic Cow Milker. Welcome to the 21st century of farming. What did Jay just say?? 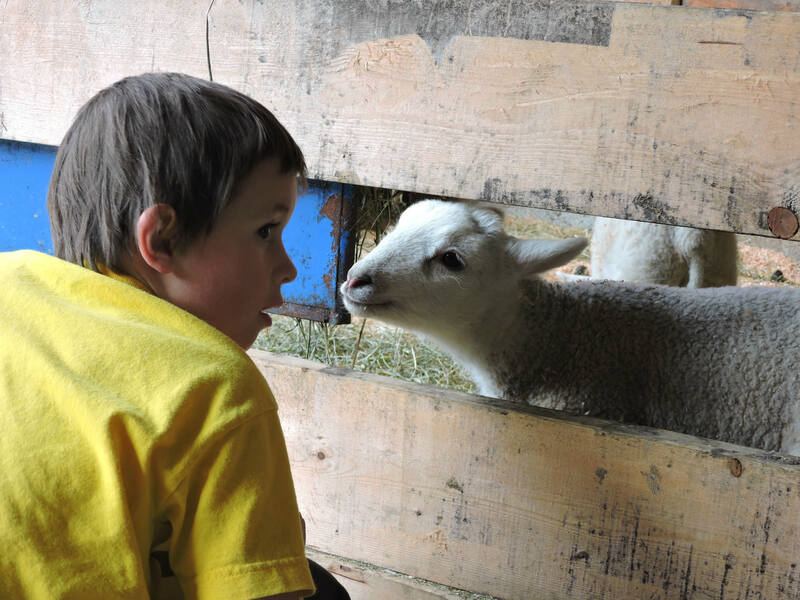 Time spent at Little Qualicum Cheeseworks takes you to a barn with other farm animals for a more hands-on experience. Lambs, goats, chicks, pigs, horses, and even rabbits…they are all here to see and pet. It’s quite a friendly place. Next we wandered over to the cheese room where all the delectible artisan cheeses are created. All the milk produced here at the farm stays here to be turned into cheese. Every morning there’s a team of people making quality cheese to sell all over Vancouver Island and the Lower Mainland as well as in their own Farmgate Store located right here. Check out the kids expressions after we told them the thing on the floor was the amniotic birthing sac! No visit to Little Qualicum Cheeseworks is complete without a stop at The Farmgate Store where you can sample many of their different artisan cheeses. Our kids lined up and anxiously awaited their turn to partake of the cheesy goodness. If I allowed it, they would have stayed all day, eating only cheese for dinner. When in the Farmgate Store, be sure to sample a few of the MooBerry wines that are also made right on the property. MooBerry wines are all fruit wines…apple, pear, blackberry, raspberry and more. 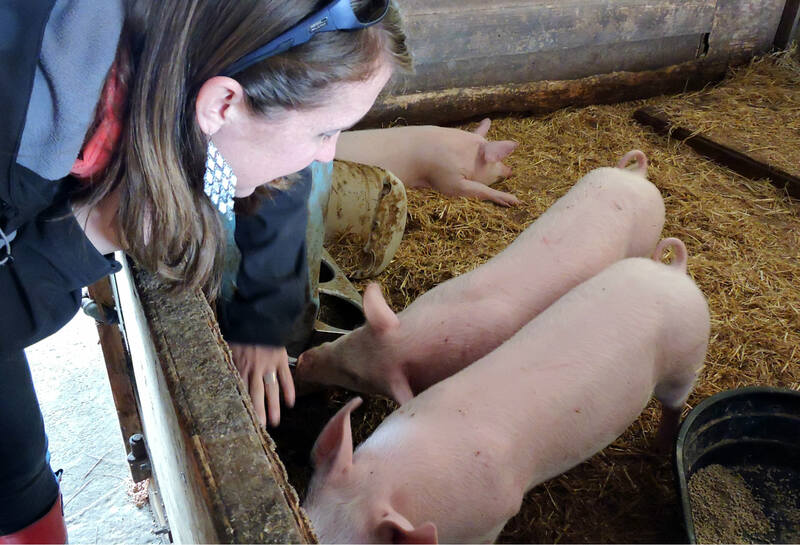 I love taking the kids to see where their food comes from and how it’s made. Take your own family over to see the operation at Little Qualicum Cheeseworks. Say hello to the happy cows and buy yourself some quality artisan cheese to take home. What a fun and FREE family adventure at the farm. And that’s a lot of cheddar!